Joe Logan on the left. Photo by Friday Night Pics (Chastity Cortijo) for Muay Thaimes®. by TKO (Referee Stoppage) at 0:43 of Round 4. Tipton suspended indefinitely, pending orthopedic clearance of right hand. Rich Brattole (Spyda Muay Thai) def. by TKO (Referee Stoppage) at 1:16 of Round 3. Rich Brattole on the left. Photo by Friday Night Pics (Chastity Cortijo) for Muay Thaimes®. by Unanimous Decision: all three judges score it 30-27. Mike Diaz (Strategic Academy) def. by TKO (Physician Stoppage) at 3:00 of round 2. Hayaty suspended 30 days no contact for TKO. 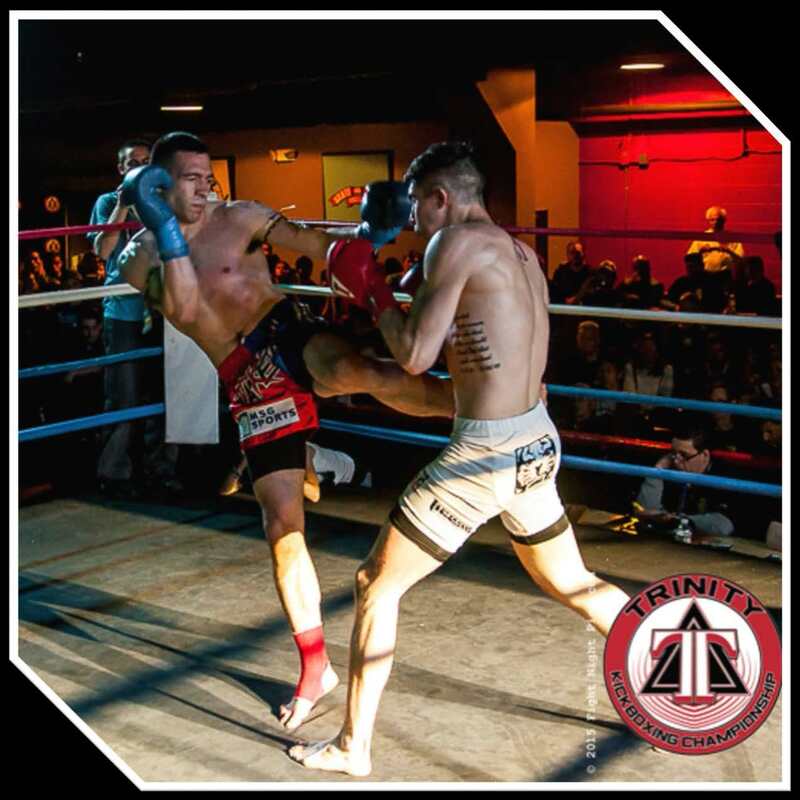 Frank Wells (The Institute Muay Thai) def. by Unanimous Decision: all three judges score it 29-28. Andrew McCarthy (Weapons 9) def. by Split Decision: 30-27, 28-29 and 29-28. Glendening suspended 14 days no contact. Tim Solitro (Stay Fly Muay Thai) def. by Unanimous Decision: 30-27, 30-27 and 29-28. Nicholas Kracsun (Lion Heart) def. by TKO (Referee Stoppage) at 0:27 of Round 2. Kuddar suspended 30 days for TKO. Kuddar suspended indefinitely, pending left ribs x-rays. by TKO (Referee Stoppage) at 1:25 of Round 2. Choe suspended 60 days for TKO. 30 days no contact. Purple People Eaters. Photo by Friday Night Pics (Chastity Cortijo) for Muay Thaimes®. This entry was posted in News & Results and tagged featured, Muay Thai, New Jersey, Trinity Kickboxing Championship. Bookmark the permalink.